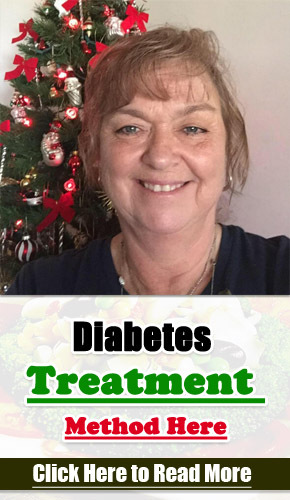 In accordance with many of today’s scientists, nutritionists, medical doctors, and certain sections of the media, the serious health complaint of type-2 diabetes is entirely reversible. However, there are still millions of people across the world that continues to suffer in the belief that this condition will be with them for the rest of their life. But, there is hope for many of those sufferers in the information I am able to reveal here. With the right course of action taken, you have the ability to naturally reverse type-2 diabetes or make improvements to type-1 diabetes. In fact, it is even possible to see signs of type-2 diabetes being reversed within as little as 30 days. Plus, I have included an easy to follow supplement plan and eating regimen. In addition, I make it easy to determine the different treatment options for type-1 and type-2 diabetes. According to data released by the U.S. Centers for Disease Control (CDC), diabetes is starting to reach epidemic proportions with nearly 25.8 million US citizens having diabetes. Plus, there are a further 79 million US citizens with pre-diabetes, which is about 25% of the population of the United States. The cost to the nation to treat this condition is in the region of $245 billion per year ($69 billion in lost productivity and $176 billion in medical costs). In addition to the extensive costs that impact the nation each year, it is also important to note the side effects and the many patients that die from this disease (latest figures show it to be the 7th leading killer). Typical side effects associated with this condition include amputation, Alzheimer’s, neuropathy, kidney disease, blindness and high blood pressure. What are the causes of diabetes (and the difference between type-1 and type-2)? Diabetes relates to a condition that causes an increase in blood sugar levels. Type-1 diabetes is a type of autoimmune condition that results from the immune system attacking the beta cells in the pancreas that produces insulin. This attack leads to a reduction or complete inability to produce insulin in the future. There are several triggers that can lead to this autoimmune response, including food (soy, cow’s milk, and wheat), vaccines, heavy metals, GMO organism and a virus. Diabetes has been linked to food sources like cow’s milk and wheat because of the A1 casein and gluten proteins. Both of these proteins can lead to leaky gut, which has the potential to cause systemic inflammation throughout the entire system. In the long-term this can result in autoimmune disease. Type-1 diabetes isn’t likely to be reversed, but with the proper changes in the lifestyle such as improved blood sugar levels, it is possible to cut back the dependence on medications and insulin. 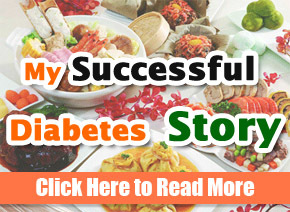 The most common form of this disease is type-2 diabetes, which relates to insulin resistance. This comes from a metabolic condition that results from high blood sugar. While it is possible to produce more insulin for a short period, the body soon starts to experience issues with the insulin receptors. It is reported that the major issues to impact both type-1 and type-2 diabetes include the food sources that lead to a sudden increase in blood sugar and results in intestinal inflammation. Now, let’s look at some of the best food types that must be removed from the diet for those wishing to reverse type-2 diabetes, while also helping to improve the general health for those with type-1 diabetes. Refined sugar: Sugary beverages (fruit juice, soda, etc.) are among the worst culprits for containing refined sugar and soon spike blood glucose. This type of sugar is known to cause a fast elevation in blood glucose. While there are natural sweeteners such as maple syrup and raw honey, they still aren’t the best options. Try stevia to minimize the impact on the blood sugar. Grains: Avoid the gluten containing grains such as wheat that hold a high concentration of carbohydrates, which soon turns into sugar once digested. Gluten has the negative impact of causing intestinal inflammation which has a negative influence on certain hormones (leptin and cortisol), and results in a sudden increase in blood sugar. Ideally, all types of grains should be cut from a healthy diet for the first three months of this program to achieve best results. After this time, slowly start to introduce the grains in small amounts. Cow’s milk: It is best to completely remove conventional cow’s milk, and more so for those suffering with type-1 diabetes. Preferred dairy options include A2 cows, sheep, or goats. All other types of dairy should be avoided to minimize issues with an immune reaction similar to gluten. The best choices include organic and raw products from pasture raised farm animals. Alcohol: A regular drinker of alcoholic beverages can experience high blood sugar and issues with liver toxicity. Sweet liquors and beer both contain a high concentration of carbohydrates, which must be cut to a minimum. Canola, soy, and GMO corn: Each of these food types has been associated with liver and kidney disease, while also being connected to diabetes. It helps to cut out packaged food and GMO foods. Plus, the hydrogenated oils (canola oil, cottonseed oil, soybean oil, and vegetable oil) should also be removed from the diet. Fiber-rich foods: Eat more high fiber foods to slow the absorption of glucose. A preferred intake is 30 grams per day, sourced from seeds, berries, nuts, avocados and vegetables. Chromium-rich foods: By increasing the intake of chromium it is possible to improve the tolerance to GTF glucose, which has the benefit of balancing out blood glucose. Some of the best foods include broccoli, grass-fed beef, green beans and raw cheese. MCFA: An increase in MCFAs from red palm and coconut oil has the benefit of balancing blood sugar levels and a more beneficial form of energy (cuts out the reliance on sugar). Wild-caught fish: Fish is rich in omega-3 fats, which is useful for lowering inflammation, and counteracts the negatives associated with high blood glucose. Low glycemic rating: Eat more foods with a low glycemic rating to avoid issues with a sudden spike in the blood sugar levels. Some of the best low glycemic foods include raw pastured dairy, wild-caught fish, eggs, organic meat, coconut, avocados, seeds, nuts and vegetables. Other options include gymnema sylvestre, bitter melon, green coffee extract, rhodiola, and magnesium. For the best results make sure to follow the diet plan here to quickly see a difference in blood sugar levels. A well-balanced diet must include fiber, healthy fat and protein in each meal. A further option to improve insulin sensitivity is exercise. Regular activity is great for building lean muscle, burning fats, and boosting the metabolism. A preferred amount of time to exercise is at least 25-30 minutes daily, even if this is just walking. A walk after meal time is believed to especially beneficial. As well as the daily walk, you want to look at including a weight training or interval training session 3-5 times per week, and should last 25-40 minutes per session. An interval training cardio session has the potential to burn significantly more body fat (nearly 3 times) compared to regular cardio activity, which also has the benefit of increasing insulin sensitivity. Other choices include the machines or free weights for strength training that is appreciated for its ability to increase muscle mass, which is useful for supporting balanced sugar metabolism and blood sugar.